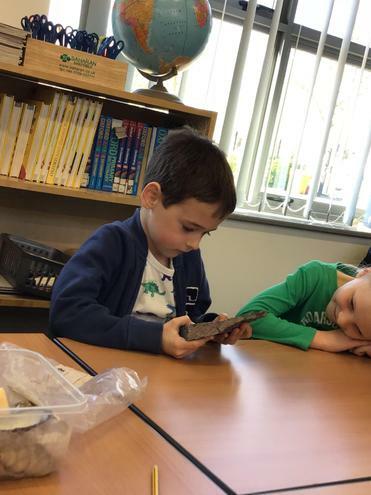 On Tuesday 26th February, Year 2 had a very exciting Dino Day. 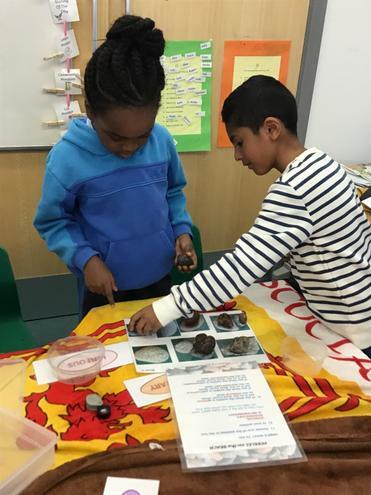 We spent time with geologists and dinosaur experts from The Open University. 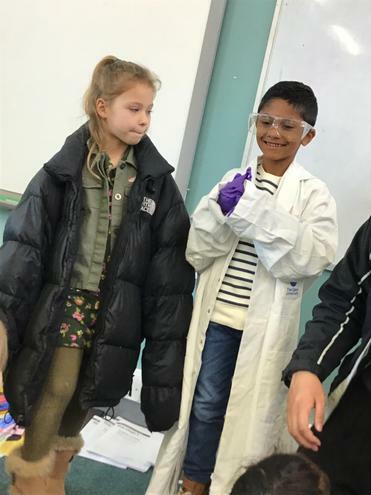 Throughout the sessions we explored various different fossils and rocks - some of us even got to dress up in geologist clothes. 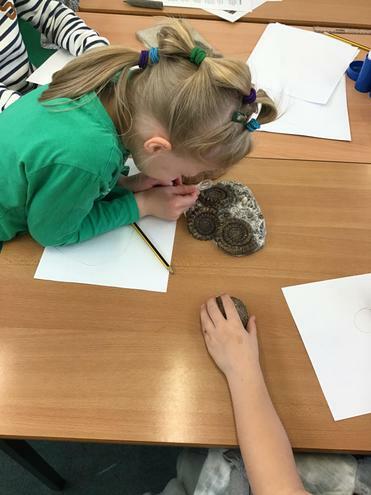 We used magnifying glasses to look very carefully at the unique details and then sketched our favourite fossils. 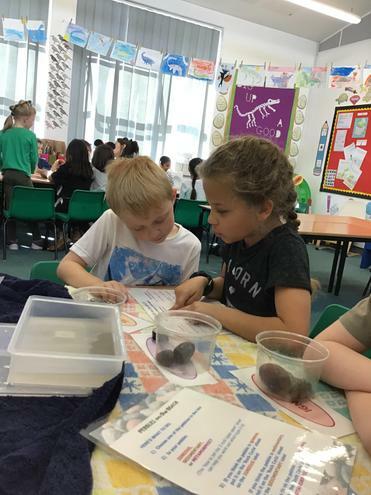 We found out about different types of rocks and sorted them into groups. 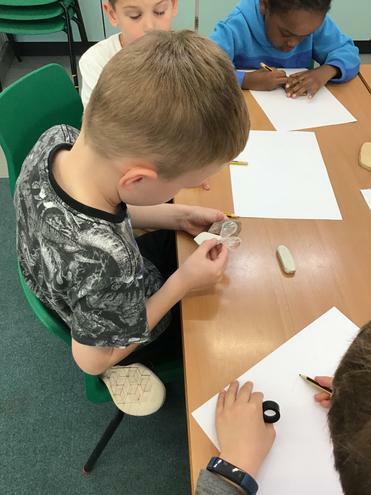 We handled different remains including a mammoth’s tooth and part of a mammoth’s leg bone- they were massive! 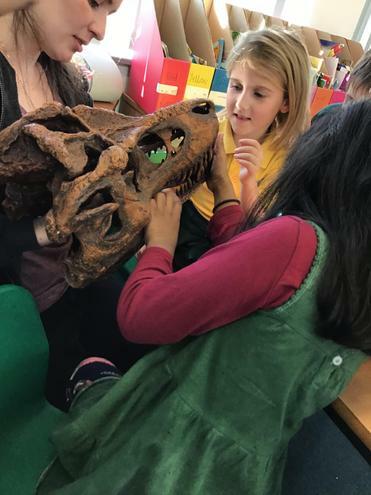 A real highlight was seeing and touching a model of a baby T Rex (an adult would have been 4 times bigger) and asking lots of questions about it. 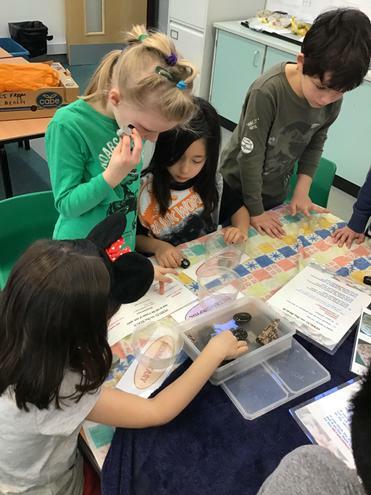 We had a fantastic day and used our enquiry skills to enhance our understanding of Dinosaurs and fossils.